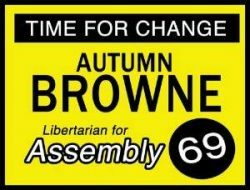 Did you know that stealing political signs is punishable by up to 1 year in prison? 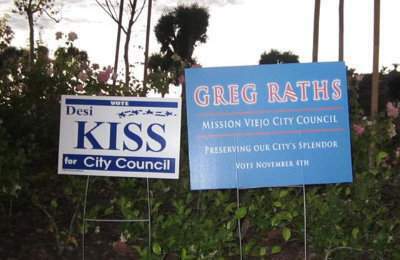 Recently in Mission Viejo several yard signs have disappeared from both private and public property including those of City Council Candidate DESI JOSEPH KISS. Please make a note: DO NOT STEAL, you are being watched, and if cut you will be prosecuted to the full extent of the law. Thank you. After posting a note on my FB page City of San Juan Capistrano Council member Greg Acho posted comments of support and offered a reward for those cut on video stealing my yard sign.